"Helplessly funny and terrifically entertaining"
"Obviously not for the pious." 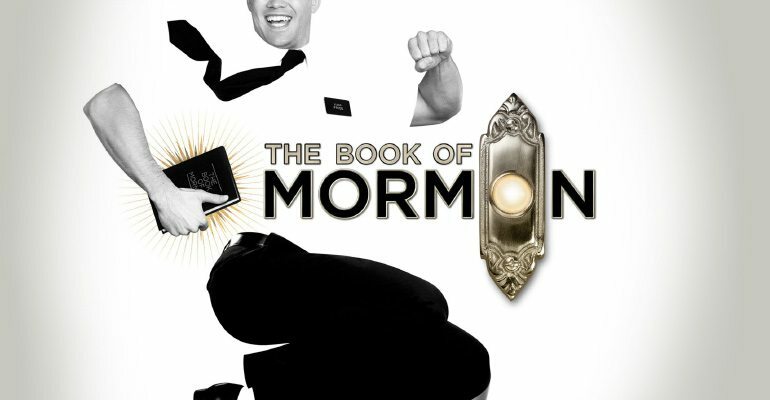 The Book of Mormon is the 9-time Tony Award-winning, Broadway smash-hit from South Park creators Trey Parker and Matt Stone, and Avenue Q co-creator Robert Lopez, who also wrote the music for Disney hit film Frozen and its Broadway incarnation. Casey Nicholaw directs and choreographs. Since transferring to London in 2013, The Book of Mormon regularly performs to sold-out houses and tickets are much in demand. Poking fun at the Mormon faith, The Book of Mormon follows two American missionaries as they go to Uganda. Soon the pair become close to the native Ugandans, who have an unexpectedly profound effect on their lives. Hilarious songs such as "Spooky Mormon Hell Dream", "Hello", "I am African" and "I Believe" are sure to have audiences rolling in the aisles. London's most controversial musical, The Book of Mormon features a critically acclaimed score. It’s the West End's most sought after show - don't miss out! Containing bad language, violence and sexual content, The Book of Mormon is suitable for ages 18 and up. Under 15's will not be admitted. The most amazing, fantastic musical I've been to. Everything was perfect, from the performance of the musicians to the flawless fabulous cast. And, of course, the extremely amusing plot that will keep you laughing non stop for 2 hours. I understand that this show is supposed to be satirical and outrageous but in places I found it down right offensive. I was warned by my sons, who took me to see the show, that it was going to be like that but it was too much. Definitely don't go if you're over 50, it's just not geared towards an older audience. My sons (19 and 23) loved it and said that I was being picky, but goodness I really was shocked. I'll be sticking to something safer next time! "Hasa Diga Eebowai" was one of the best songs I have heard in my entire theatre-going life! I seriously can't stop singing it! This show was so enjoyable and so fun - but only if you don't take the content too seriously as it could be offensive if taken the wrong way. A really great polished piece of theatre. I was deeply offended by this show. I know it is supposed to be funny but I just can't see how mockery and foul language are amusing. The melodies were good but completely marred by the coarse nature of the show. What they did with the frog was foul. HILARIOUS! seriously! My sides hurt from laughing so much! Yeah the show is pretty offensive, but it's all clearly in good nature. The songs were so original and well staged, especially "Spooky Mormon Hell Dream!" I can't get over how good this show was! I am going again in 4 months but that feels like to long to wait! Laugh out loud funny and amazingly feel good. I wanna be a Mormon now! "I BELIEVE!"